No matter where your business is located in the U.S. or Canada, UniFirst has 240 local operations to meet your uniform needs every workday of the year. With over 250 servicing locations from coast-to-coast, UniFirst is recognized as one of North America's leading work apparel suppliers. Standard uniform services, including industrial work shirts and pants, medical scrubs and lab coats, food service apparel, coveralls, and other work clothes for all industries. Business casual attire uniform services to allow employees to dress “casually” without detracting from the corporate image or brand. Protective workwear uniform services, such as Flame Resistant (FR) apparel for employees working in environments where flammability is a risk, as well as ANSI compliant High Visibility clothing for employees working on or near roadways or in environments where their movements might be camouflaged. Custom image workwear services that help promote and support a company brand; providing a distinct and consistent visual image that customers grow to recognize and trust. Lower acquisition costs through volume pricing. Consolidate ordering to maximize the benefits of volume purchases. Select products through value analysis and wearer preference. Satisfy union labor contract specifications for laundering. Accommodate job-specific apparel specifications to maintain operational efficiencies, service customers, and keep pace with competitive challenges. UniFirst's uniform service provides a turnkey solution to companies seeking a cost-effective way to manage employee uniform programs. 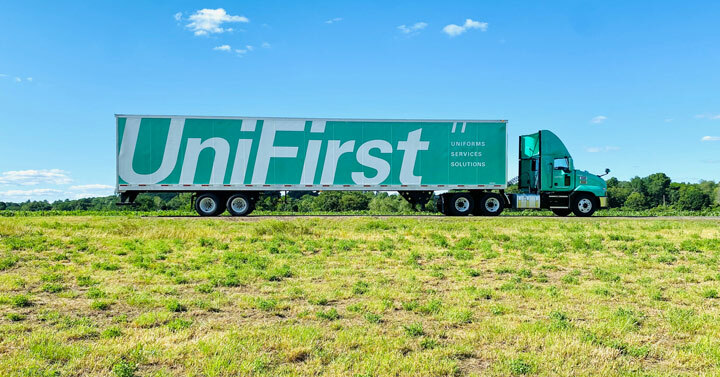 With UniFirst Rental Services, companies can focus on the more important aspects of their business instead of managing their own employee uniforms. Service. Including help with every step in the process. We personally measure each employee for a great fit and arrange logo customization and personalization. Dependability. On a weekly basis, we deliver freshly laundered and pressed uniforms, and take away the soiled ones for processing. Quality. Through rigorous 10 point garment inspections, we quickly identify and repair damaged uniforms… automatically. Speed. We outfit your new employees with next time delivery and provide automatic size exchanges as needed. Triple Pro Team. Three UniFirst service professionals are dedicated to your account at all times. To contact the UniFirst near you, please visit the UniFirst Locations page or call (800) 455-7654.